This oven works in the same way as the oven with rotating trays. 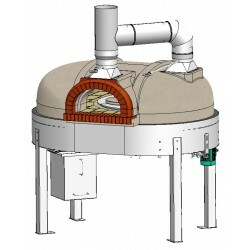 This rotating sole oven bakes pizzas of different sizes. 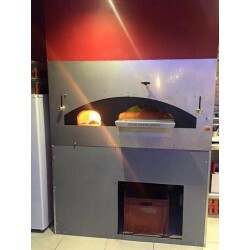 Technical data is available under"download"
Oven equipped with a rotating floor and rotating trays. Optional: delivery of the assembled oven, in case it is possible to deliver it on a truck with a tailgate and a fork lift truck (if the door is wide enough, if there are no stairs or doorsteps). Installation, casing, supply and installation of the main pipe are not included .